(09.12.05) VANCOUVER’s Loscil (a.k.a. Scott Morgan) is like the missing puzzle piece over at Kranky headquarters in Chicago. Though he has only been in the sound scene shortly on this side of Y2K, he has managed to pretty much tour the world and release three full-length recordings and a sold-out limited untitled 12″. With tracks as fluid as those on Submers and the latest, First Narrows one hopes he stays adrift and doesn’t sink into a hole in the ocean. With Morgan’s participation in the upcoming Decibel Festivalin Seattle (their 2nd annual electronic music festival) I had the opportunity to find out a bit more about how he crosses his signals to dry land. TJ Norris/Igloo :: I am just compelled to use the coined phrase “Great Scott!” for some reason. Anyhow, hello up there (I’m down here in Portland, OR). Are you in Vancouver right now? Is that where you’re from and can you say something about what makes the place for you? Scott Morgan/Loscil :: First off let me say: viva the Republic of Cascadia. Considering you’ve mentioned Portland, Seattle and Vancouver I thought that would be worth mentioning our future Nation. On that note, I love all three cities. With friends like Paul Dickow (Strategy) in Portland and Randy Jones in Seattle I’ve had the pleasure to make a few trips to both cities and truthfully, they feel as much like home as Vancouver… sort of. As for Vancouver, it has been my home for the past 16 years. I came here from Vancouver Island to study music at Simon Fraser University. Simply put, Vancouver is one of the most beautiful cities in the world and I love it here. Igloo :: Absolutely, sparking tall buildings and beautiful mountainous surroundings, and great food, what more could you want? Truly an international city. I just have fallen in love with the Pacific Northwest, let’s keep it our lil’ secret. OK, if you pardon my playful wordsmithing, but your last name, Morgan, like, er, Capt. Morgan (the “in” beverage for the “out there” crowd) pokes reference to the seafaring wonderland we live in. In your work, both in some titles and the overall listening experience, there are allusions to all things endless and watery. Is this just my water-on-the-brain imagination? SM :: It’s not your imagination. One could argue all three of my Kranky releases deal with water in some way. Triple Point by its thermodynamic definition refers to the ability of substances like water to be able to exist in solid, liquid and gaseous states at the same temperature (ice, water and water vapour); Submers is about submarines and, of course, submersion in water and First Narrows is about a body of water at the entrance to Vancouver Harbour. So, in some manner, water has become a nice metaphor for my music, albeit a subconscious one. Musically speaking, I think I am very much interested in flow, in texture and in generally “watery” musical ideas. Igloo :: Cool. Your sounds are so layered, smooth, serene. How do you lay it down? SM :: I do a lot of what I would call “pre-composition” which is to say I spend a good deal of time creating sonic components that I will assemble later, a kind of “palette” with which I’ll work for the course of a piece, or multiple pieces. Usually this involves a considerable amount of sound collection and processing. Once I have sets of sounds I use a custom Max/MSP (software from Cycling ’74) patch to sequence and assemble and further process all the sounds into the finished pieces. This patch has grown and developed with every record and essentially embodies the Loscil approach. In the case of First Narrows, I also added live instruments to the mix. Igloo :: I first saw you play live last year at Mutek. Any memories about your experience performing there with so many others? What do you think about music festivals in general? SM :: Mutek was pretty darn inspiring. To share a stage with the legendary Can drummer Jaki Leibezeit was pretty humbling indeed. Mutek is an incredible festival. It captures the spirit of electronic music in all its facets, from dance culture to avant guarde and everything in between. That being said, I really can’t imagine a festival like Mutek taking place anywhere but Montreal. Montreal, with all its cultural awareness, history and enthusiasm is the perfect place for such an event. But there are lots of other festivals on the rise such as New Forms in Vancouver and Decibel in Seattle. I love the festival format. I think it’s a great way to collect a vast number of people interested in music in one place focused on one thing: the music. I’d much prefer to continue festival circuits than touring clubs. Igloo :: Speaking of Decibel, this is their second year in operation, can you give me a sneak peak into what you might be presenting there and how you will spend your time in Seattle? SM :: Well, my set will be 100% new material (not yet released). I am also hoping to get a full set of visuals together though the clock is ticking on that deadline. Sadly, I won’t be catching anything else at the festival as I’ve got to drive down and back before and after my show. Too many responsibilities being a new dad. Igloo :: I hear ya. You have traveled and toured with labelmates Stars of the Lid, who are very visual in terms of their live presentation. 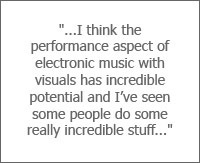 With so much of what attracts audiences to live electronic performances and other related events (Orbital, Alva Noto, Brian Eno, Dumb Type/Ryoji Ikeda, et al) how important are visuals to the overall message of your sound work? Do you create your own video or collaborate? SM :: When I perform with visuals, they are my own. I think the performance aspect of electronic music with visuals has incredible potential and I’ve seen some people do some really incredible stuff (Randy Jones for example). I don’t feel like I’ve achieved what I’d like to visually in terms of presentation. I find video very cumbersome and harder to mold and shape than audio. But that’s probably because I’m not really a visual person. Myself, I like abstraction when it comes to visual presentation. I am interested in the historical aspects of “visual music” as it was pioneered by the likes of Oskar Fischinger or Stan Brackage. I would love to explore this more but lately have decided I need to focus on music as music which is what I primarily love to do and get immediate satisfaction from. I am definitely moving away from the “glorified VU meter” approach to visuals as one might find in iTunes or similar. We need new methods of uniting audio and visuals but retaining “performance.” I haven’t seen a lot of performances that achieve this; high standards of quality in terms of content and presentation as well as true and unique forms of synchronicity between sound and image. Boy that was a rant. Igloo :: Stan Brackage, now that’s a name that draws back some cinematic cobwebs in the recesses of my brain. Well, coming from the visual end myself, I see everything in reverse, and agree it is a central component for an audience, and to the artist or collaborators. A few basics: do you care to reveal your favorite person, place or thing in the moment and tell me why? SM :: This one’s easy. My favorite person is my new daughter Sadie. She’s three month’s old and has already made a huge impression on me. It’s fair to say no individual has ever had this kind of impact on me and my life. Igloo :: Totally sweet. Maybe in mysterious ways she will show up in your sound or theme? How about influences? I mean, there are some early ambient overtones strewn all through your work. Did you listen to a lot of soundtracks growing up? SM :: Not necessarily. As a teenager I was mostly into rock and punk music. I had a band at age 13 and we were into The Clash, Velvet Underground, etc. My interest in ambient music probably started with awareness of Eno’s ambient music through knowing his rock music. But really, it was going to music school that opened up a world of experimental composers from Anton Webern to Steve Reich. S.F.U. also has a very good computer music program so I got lots of exposure to computer music history and techniques including access to studios, etc. I also did a lot of work with student films in university and independent films after university, so sound design and film scoring have long been and interest of mine. Igloo :: Well, there’s the connection! By the looks of your performance roster, you play out live quite a bit, and as many performers who can attest, practice makes perfect. Do you take the live experience back to the studio somehow, I mean, do you learn anything from the performance aspect of working that correlates to either a live sound when you are recording, or interesting sounds that come out live that you don’t always get in house and then transfer back into the process? SM :: Because my live set up and my studio set up are essentially identical, they are one and the same. Each and every piece on all of my records is a “live” performance. I don’t do any post recording editing or mixing. I simply record the output of my Max patch as I’m playing with it. But I do certainly uncover and transform pieces over time through multiple performances. If I do go back and play any of the pieces from past records live, they end up sounding quite different in structure, mix, etc than on the records. It’s nice to have this flexibility with electronic music. Igloo :: Wow, I wouldn’t have thought of your work that way, but it’s quite refreshing to learn the live nature of the finished work. So, is your overall sound completely created from digital sources, or…? SM :: If by digital sources you mean synthetic sounds, no. Most of my sounds are sample based. I collect things from a variety of sources: sampled classical music that is processed, manipulated instrument recordings, clicks and pops recorded on a crappy mini-cassette recorder, etc. The only synthesized sounds in my palette are the bass sounds which are basically sine waves. Igloo :: Favorite music rags? Anything that speaks to you? SM :: I’ve been known to occasionally read Wire, Grooves, XLR8R, Sound Collector, Musicworks, etc. but honestly, its rare that I pick up magazines these days. Igloo :: Sometimes I can relate, but the printed word can sometimes seem to have this mythical weight. As a photographer I usually look at the pictures! So many images spin in my head, like the floor on the Parallel Lines record by Blondie, The Slits muddy Cut cover, Gary Numan’s manicure on The Pleasure Principle (child of the 80s am I). Speaking of which can you relate to graphic design as it connects with music, maybe you can explain the cover art of your own releases or share a favorite cover of the past and present? SM :: My last release, First Narrows, features a graphic representation of the Lions Gate bridge here in Vancouver. It spans the front and back cover. The Lions Gate is a real icon here and it spans First Narrows, the entrance to Vancouver Harbour… hence the relationship to the record. This was the first cover I designed myself. The Submers cover was done by a graphic designer I used to work with in the CD-ROM days. His concept was to capture a light beaming up from underwater. I think the concept is great as were the original photos. The final cover doesn’t live up to the potential of the idea though. Triple Point was done by another graphic designer. I really like this cover. It’s simple and elegant. Favourite covers of the past: I’ve always loved the hand printed Rachel’s covers. They are truly beautiful. The Velvet Underground cover by Andy Warhol certainly stands out in my mind. Igloo :: Can you talk some about your history in terms of training and/or career(s) then and now? Does your travel afford you the time to work a regular day job? SM :: I think the real question is does my day job allow travel… I work in the video game industry as a sound director. As I said earlier, I have a background in sound and music which lead me not only to my own musical endeavors but to a career in sound design, composition, etc. These days I work on games and that takes up most of my time. I just finished work on The Incredible Hulk: Ultimate Destruction… needless to say this is a lot different from my own personal musical interests. In fact it’s almost the opposite. But it’s a nice contrast and a valuable job to have when you factor in the experiences I gain here I can also use in my own work. Igloo :: You got the yin/yang thing goin’ on. What’s cooking in the studio now, are you working on anything new? Any collaborations? SM :: I have a new record nearing completion. 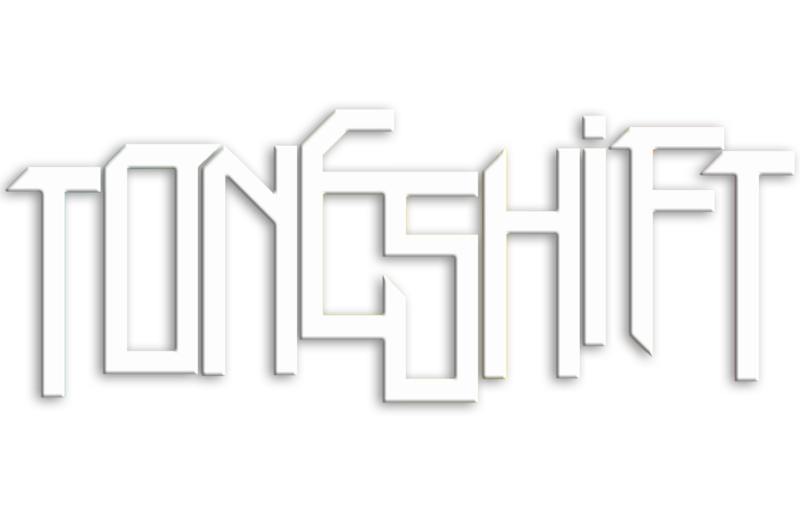 It will be done this fall and most likely released by Kranky in the Spring. It picks up from where First Narrows left off in terms of collaborations with live performers and goes a little further in terms of number of instrument variation. I am also quite interested in a CD/DVD dual release with the DVD including video I use in performance and a surround mix of the audio. Igloo :: Are you saying your recordings conceptually follow each other? Is there a “cliffhanger” prior to each episode? SM :: That’s an interesting idea, but no. I certainly don’t do anything on purpose like this, but I think it’s a pretty natural thing for some artists to be continually adapting their approach and style. 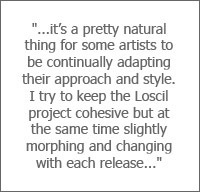 I try to keep the Loscil project cohesive but at the same time slightly morphing and changing with each release. Igloo :: Some of your sounds are quite soothing, yet distant and dare I say a bit introverted. Or is that Zen? Once again, you have to excuse me, I unfortunately grew up in the era of elevator Muzak and the dawn of a genre once called New Age, and terms aside, what would be the best venue(s) for your work outside of the live arena – well, I don’t “think” we are talking actual ARENA here – but I hope you get what I mean. SM :: Quiet home listening is the ideal scenario for my music I think. Although the Muzak and New Age references are scary, there are elements to both of these musical worlds that do ring true to me. Eno best described the art of background music in the liner notes to Music for Airports and to this day I think his point is a good one (that we shouldn’t write off background or environmental music just because Muzak pioneered it). I think similar things can be said about music labeled “New Age.” There is lots of great music out there that gets dismissed because it’s labeled New Age when truthfully it’s simply a label someone in “the record industry” has arbitrarily applied to organize the records. 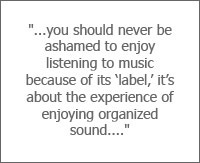 I guess the point is, you should never be ashamed to enjoy listening to music because of its label, it’s about the experience of enjoying organized sound. SM :: Soundscape is an excellent word. Though I tend to think of a soundscape in terms of real world sounds (the soundscape of the countryside). At any rate, my life involves parenting, working, making music and occasional fixation on that Canadian thing called hockey. Igloo :: Hockey? Spectating or playing??? SM :: Rest in peace, Bob Moog. Loscil will be performing live at the Decibel Festival on Sunday, September 25th at the Broadway Performance Hall as part of the Ambient Showcase (Kranky vs. Ghostly). First Narrows is out now on Kranky.